On a trip around Cuba, my little daughter, my wife and I were very happy and charmed with our stay at Casa Estrellas. Nice place well furnished, especially the kitchen, suitable and confortable rooms. Quiet and helpful neighborhood. Many, many thanks to Sissi (our host) who's been so kind and eager to make our holidays smooth and easy. What breakfasts we had ! My kid was delighted 😁 Even more, Sissi offered the lift to the airport which ended our tour in a friendly way. So, stay there ! Me and 2 friends stayed 1 night at Casa de Estrellas. We were welcomed by Sissy who is a very sweet cuban lady. She speaks Spanish, English, and Russian and she is a very caring host. She gave us a lot of information on activities to do in Habana and even drove us to Habana Vieja, to the airport, and helped us find accommodation for our remaining nights since her place was taken. 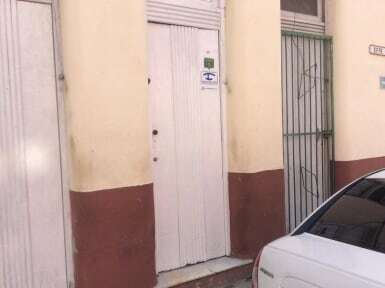 The apartment is clean and located in the center of Habana. We recommend it! Un très bon séjour. 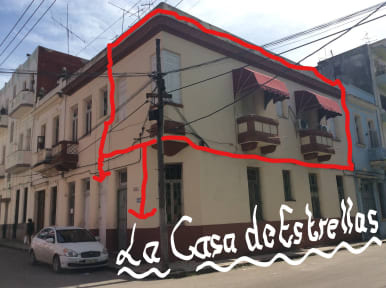 L’endroit est très bien situé pour visiter La Havane et vivre en dehors des quartiers touristiques. Quartier vivant et bruyant. L’accueil était parfait!